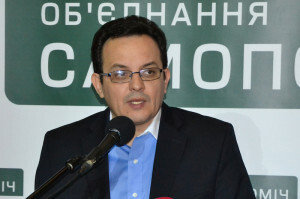 Chairman of the “Samopomich” Union faction Oleh Bereziuk has spoken on the achievements of the party and outlined priorities of “Samopomich” for 2015 in front of the delegates of the IV Congress. “Today we can boldly claim that the “Samopomich” Union faction in the Verkhovna Rada has made it and took its place on the parliamentary scene. We have initiated and elaborated probably for the first time in the history of Ukrainian Parliament a real document that assured the creation of the coalition. 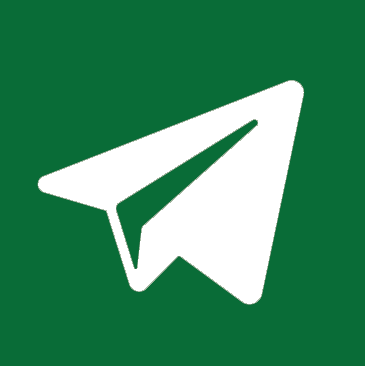 The Coalition agreement was the life saver for the program of the coalition government. 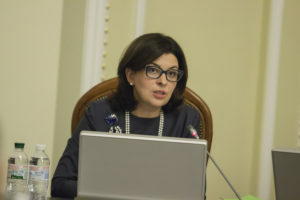 We were the advocates of transparent creation of the Verkhovna Rada governing bodies and we took responsibility for the management of the three parliamentary committees,” – said Bereziuk. He said that due to the work of the faction’s MPs the new budget laws and the tax code, though still not absolutely perfect, are already promising. The MP added that the expert group of the faction continues to monitor the budget and consider the proposals for its improvement. Among the achievements of the faction the deputy also pointed out the adoption of the bill “On the Judicial System and Status of Judges” during the first reading. 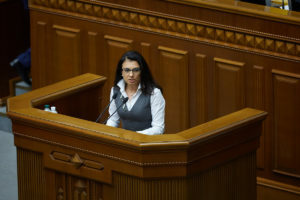 The authors of the bill are Vice Speaker Oksana Syroid, “Samopomich” deputies, their coalition partners and the community experts. “It is vital that besides the proposed by the President bill “On fair Courts” we have stood up for the adoption of our bill. Our further task is to examine both texts, so that eventually we can get a deliberate legislation on the judicial system, which could serve for years lacking no amendments, protecting the rights and dignity of citizens”, – emphasized the MP. Moreover, Bereziuk noted the role of the “Samopomich” faction in enhancement of the work on the laws on regional policy, communities associations, condominiums and State Construction Supervision and Inspection Service. These are the laws that can destroy corruption and strengthen the role of citizens in the management of their property. Among the objectives of the faction in 2015 Bereziuk pointed out the necessity to amend the Constitution and the elaboration of laws on municipal services, energy efficiency of buildings and the reform of higher education. “And, of course, the most important is security. De facto the country is at war. Our task is to help the Government to use the defence budget properly. In addition, the members of the faction have committed themselves to prepare a number of bills relating to army – from military doctrine to the law on private military formations,” – he said.